I (think I) am grinning like a fool all the way through work. Umm, I really do have practically the same breakfast every day, LBTL or not. Is this a problem? * In the style of, say, a ‘deconstructed’ piccalilli. Having discovered the ‘jam’ in fact tasted better before going through the processor, half of it was left unpulverised, to be eaten as was. Like a sweet, smokey barbecue. I think this is 34p in total. Windfall! Dinner on me? I didn’t pick the coins up, no. 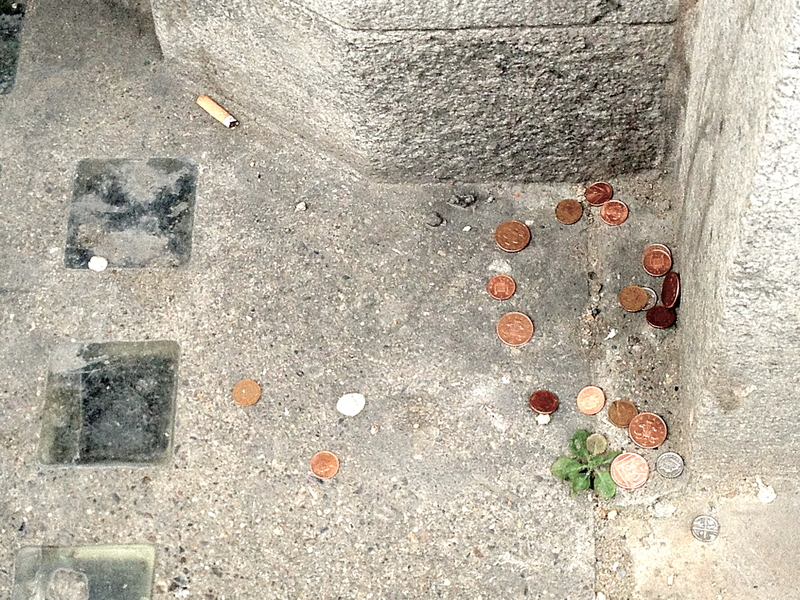 In hindsight I’m not sure why I didn’t – how rich would we be if we all picked pennies off the street every day? This reminds me of the commotion on the ward on Monday after a patient went and flushed his wallet down the toilet. I cannot look at bacon anymore. 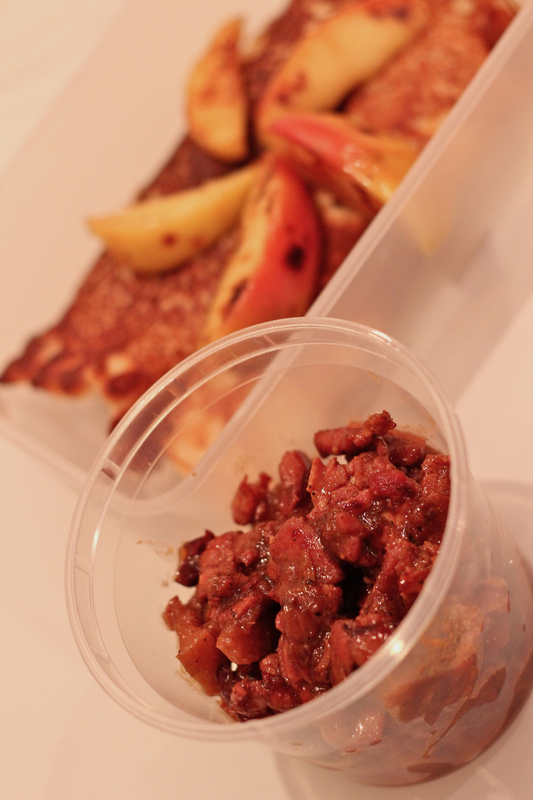 They say the smell of sizzling bacon has converted many an ex-vegetarian back to their carnivorous ways. I dunno. 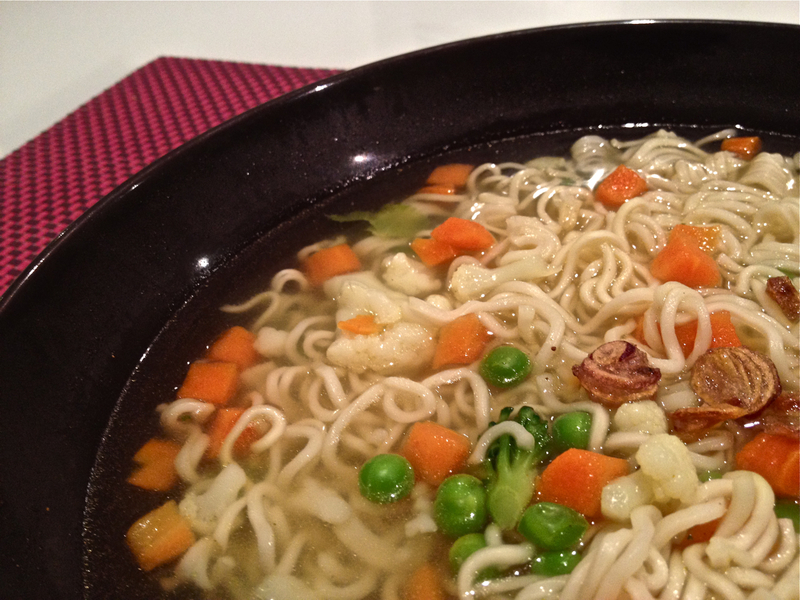 Eat enough of something for 5 days straight, and the sight of it might induce vomit for 6 months afterward. But this is especially true of Basics bacon which comes in different shades of pink, brown (and towards the end, green), and not infrequently requires spitting out bits of bone. So tonight is going to involve a major cop out. 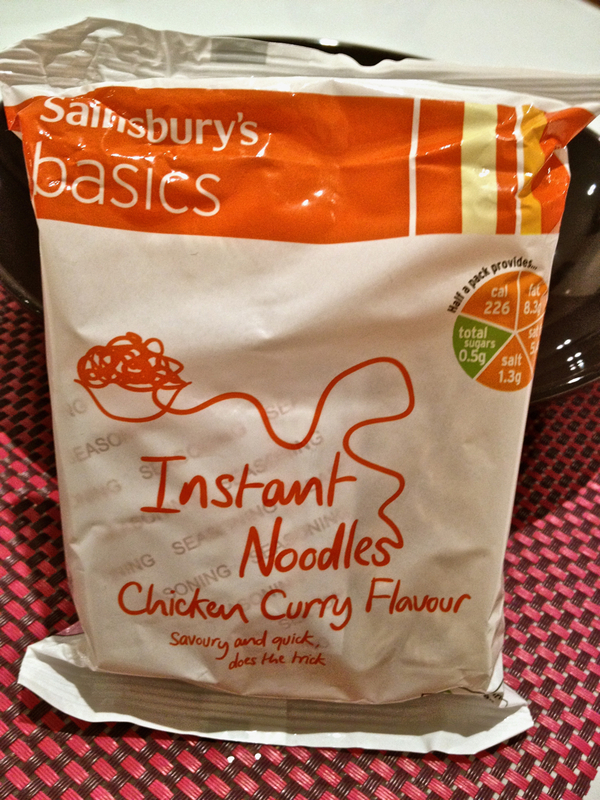 INSTANT NOODLES. The heavens part! 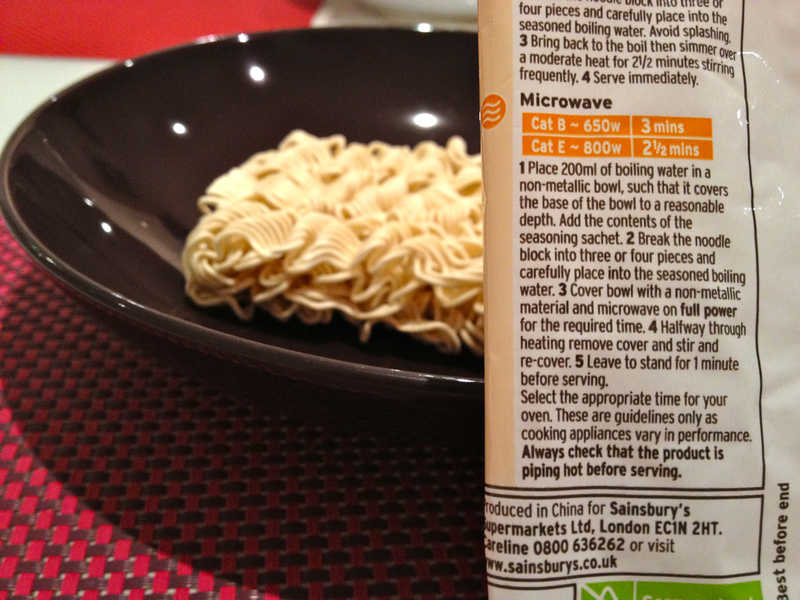 Speaking of instant noodles – let my experience stand as a parable as to the dangers (okay, perks, I suppose) of innocuous status updates posted to Facebook the week before your birthday. A throwaway rant about running low on Indomie can, and will, result in a lifetime supply being gifted to you by your joker ex-housemates. Last week they were asking whether it would be financially viable to survive LBTL purely on Indomie. 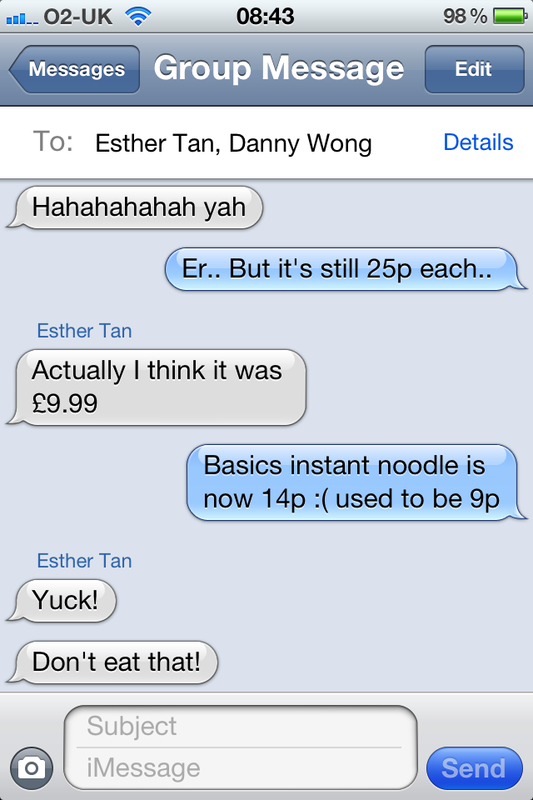 When even Esther Tan is telling me not to eat something, that something will usually have something seriously wrong with it. However, today I am blithely ignoring this advice, as I am already high on the forthcoming hit of monosodium glutamate, and am thus totally invincible. It even comes with MICROWAVE INSTRUCTIONS. Fabulous. As you can tell from the shoddy iPhoneography, I am so psyched about this meal that I cannot wait for the proper food camera to make its way home (apparently out gallivanting at some supperclub *narrow-eyed glare). Ending the week on a high. One Pound. On The Money. One may be approaching the wizened, raisin-fingered age of [somewhere between 25 and 30], but is it possible for one to outgrow Internet memes? Don’t think so. It’s been a nourishing read, thank you for blogging this fAb effort . Hope you’ve regained electrolyte equilibrium :).